← I’m just going to get this out of my system, okay? 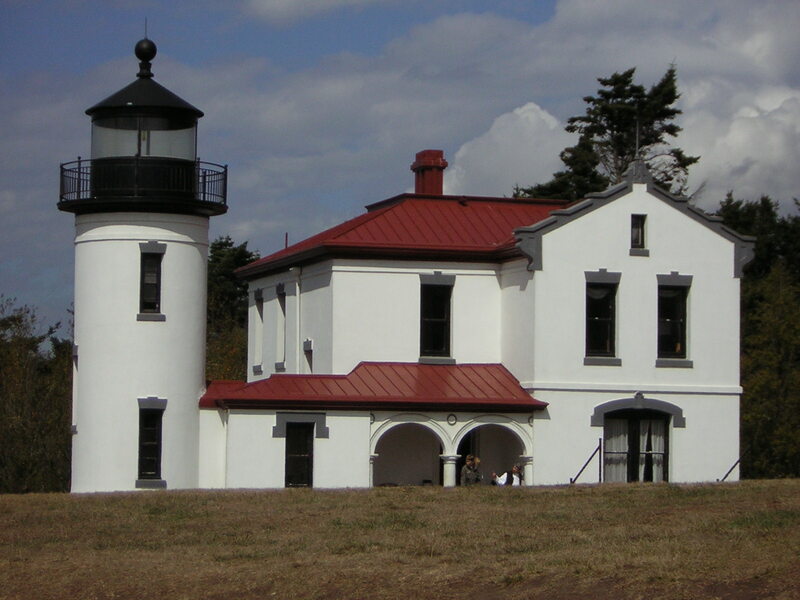 Sometime back in the Victorian era, a lighthouse was built on the end of Whidbey Island where Fort Casey is now. The lighthouse is still there…. …it’s just surrounded by fort now. It is also the fort’s only really tangible ghost source known. The teenage son was tragically drowned when we made the mistake of taking a rowboat out in a storm. Yet as far as I know, no one has reported seeing him, though I do recall the tour guide at the lighthouse, now a museum, saying something about a ghost woman being seen at the lighthouse. Unfortunately, I can’t recall the details of that, only the fact that I didn’t see her. Be that as it may, I’d be the last person to say that Fort Casey isn’t haunted, because it definitely seemed so to me. 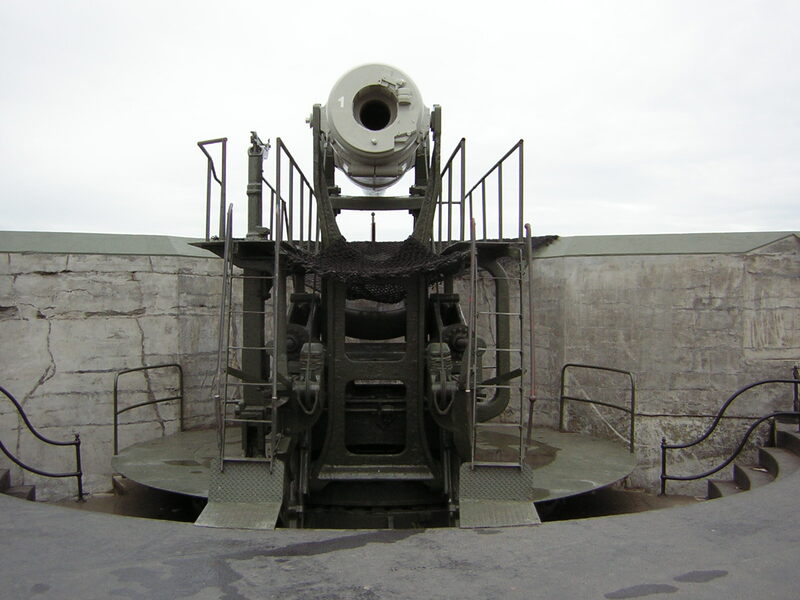 Fort Casey on Whidbey Island WA was first activated in 1901 as one of three forts called the Triangle of Fire built to protect the Puget Sound from invasion by sea. 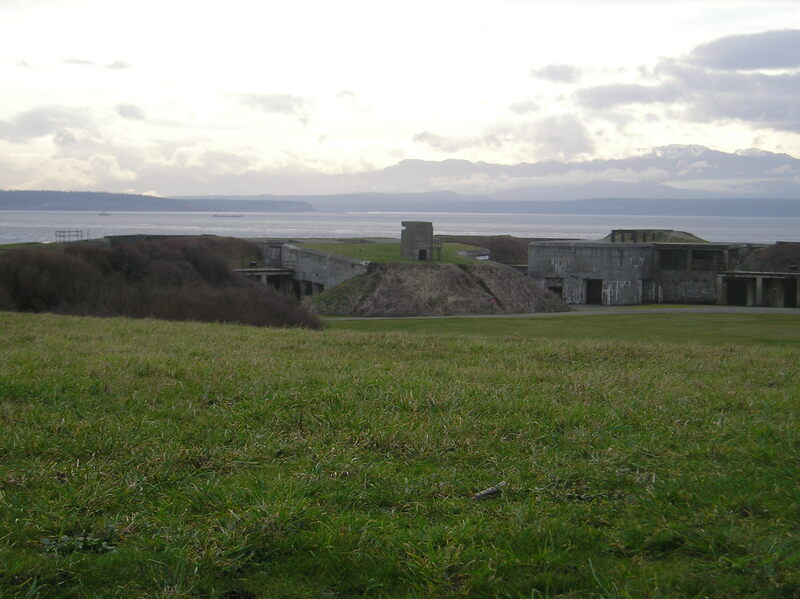 The other two are Fort Worden in Port Townsend and Fort Flagler on Marrowstone Island. These, however, did not long remain the latest, greatest thing in defensive warfare. They were obsolete, for the fort at least, with the invention of war planes in 1903. This meant that the fort could now be attacked from the air and the guns couldn’t hide so well anymore. 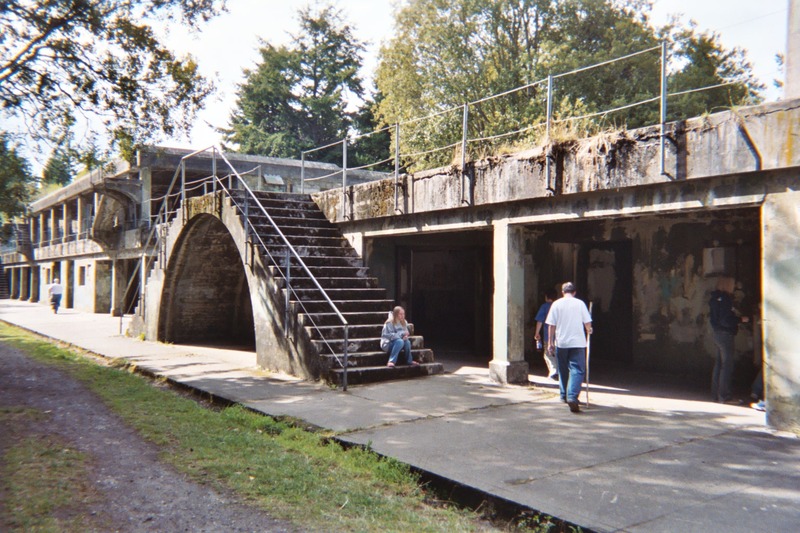 They were removed from their emplacements and for use on trains in Europe as mobile defense during WWII, but the fort itself was used mostly for training until after the was when it was deactivated and became a state park. It did not see any warfare at all unless you counted what it’s guns did gallivanting around Europe in WWII before eventually coming home to roost as it were circa 1960. Guys care about that stuff. Go with your husbands, son, boyfriends, male what-have-yous and most of their interest in Fort Casey will be riveted strictly on the guns. They LOVE those things! Anything that’s basically destructive, makes loud noises, and gives off lots of smoke. 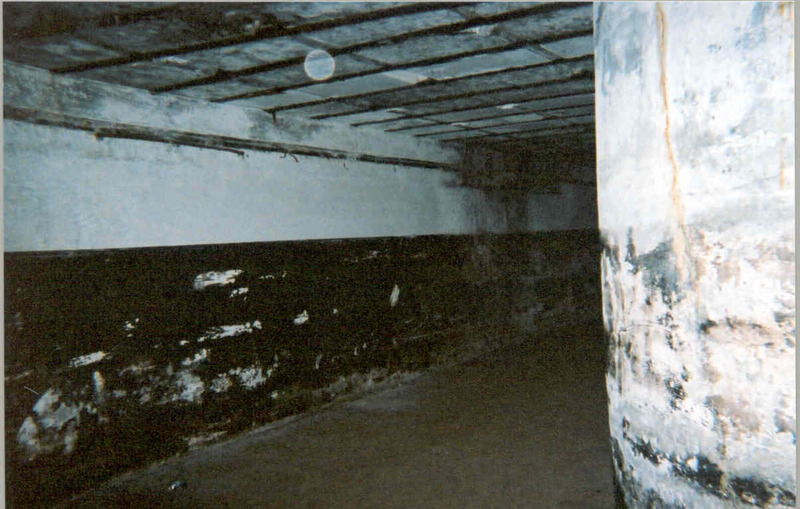 My personal interest was always in the spooky looking and fasinating fortifications atop as well as the tunnels and chambers below ground – many of which are now closed to the public due to people being lost or injured in them. One underground tunnel I particularly liked went to a sort of balcony in the cliff where you look out of the sea from a still fairly high vantage point. I believe that one is still there but I didn’t think to take a picture of it. Sorry. Anyway, back in the days when everything was still open and I was about 18, my family and my boyfriend Mark visited there and spend all day just exploring it. Most of the fort is composed of maze-like underground tunnels and chambers, which I couldn’t get enough of. Mark, however, big burly foot-player-type guy that he was, had to be dragged along. He was leery of the confined spaces and dark. I felt three different presences in three different areas of the fort that day. The first was in a square, underground building called the “Switch board”. I felt the prickle of an extra presence there, but that was it. Nothing special; not for me anyway… but when we got back out into the sunlight, my mother, who been in the single file line between me and my step father, he leading – mentioned feeling it too and then we all looked at her in surprise because she was wearing a necklace now that she hadn’t been wearing before: a little gold cross I think. Her hand went to her neck when she saw me frowning at it in puzzlement. :What?” she asked in the same minute that her fingers found the necklace and froze with a similar frown on her face. I can’t recall if she put the necklace back on, but she kept touching her neck, uneasy as to how the necklace might have gotten there. The second presence made itself known in a relatively open area called “the Stockade” where what were obviously jail cells surrounded a courtyard. It got some sunlight here, yet stepping into one of the cells for a moment, I felt a very dark and brooding presence, both angry and forlorn. It was so palpable, that I actually retreated from it in a hurry. My mother later mentioned feeling the same thing in that spot. Years later, my daughter went to Fort Casey on a field trip and also felt it there in the stockade, though I hadn’t yet told her my own story of it. 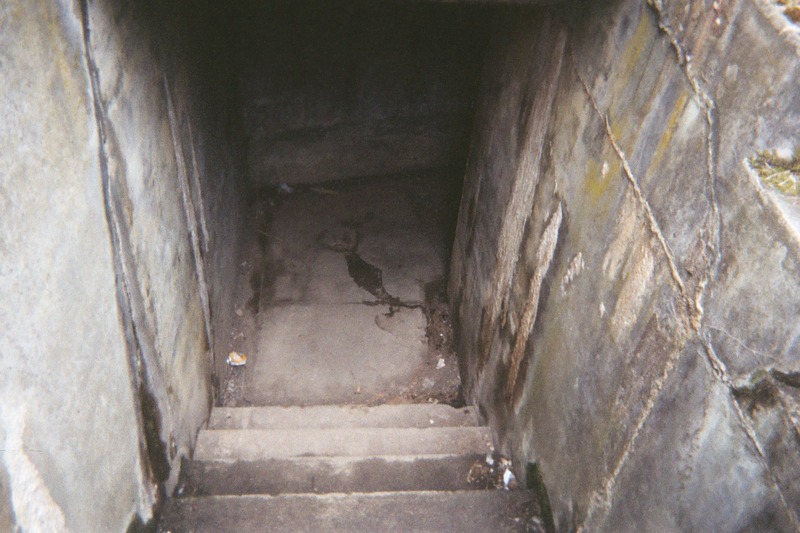 As for the third presence… Near the old lighthouse, we found the entrance to another tunnel. Actually, there were two entrances facing on each other indented into the hillside, one of which was sealed, but the other wide open into a narrow tunnel. Mark insisted we take both rope and flashlight into this one so, once we got them, I went in with the rope and Mark shone the high-powered flashlight from behind me. The tunnel kept making sharp turns and doubling back on itself and with each turn got narrower until it became more comfortable for us to simply walk sideways. Several turns in, we were starting to think of turning back because the sides of the tunnel were now brushing us both in front and in back. Then I found yet another turn and reached through the opening into it because the flashlight this deep into the hillside was no longer lighting much. It was a tunnel too narrow for us to fit through at all, yet I felt a hand in it reach forward and gently cover my own. Surprised, I asked, “Who are you? Are you stuck?” and then had to explain about the hand to Mark. The owner of that hand didn’t answer, but the fingers tightened on my own. I asked Mark to bring the flashlight further forward and he shone it directly into the new tunnel while my hand was still clasping the other, but no one was there. Even the other hand wasn’t visible. 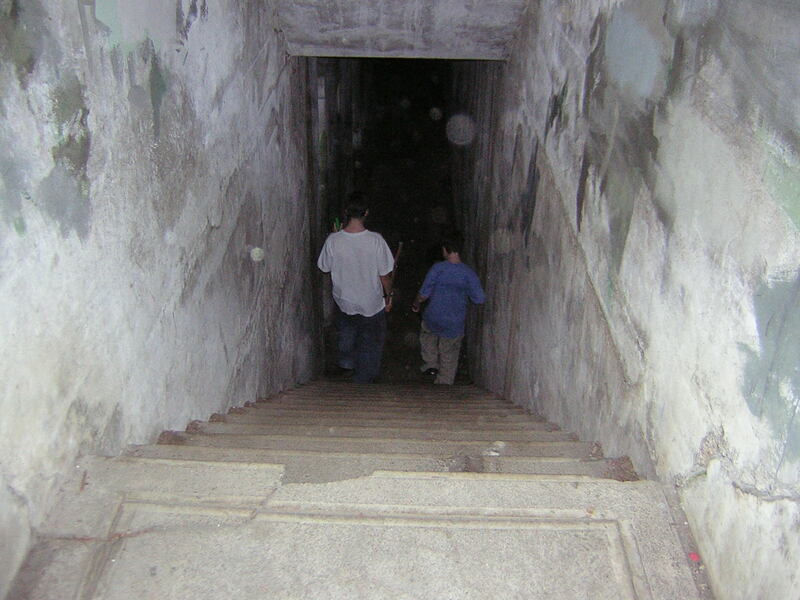 Even so, I was convinced it was someone stuck there – invisible because of the intense darkness – while Mark was abruptly convinced that we were dealing with a ghost, shrieked pitiably, and hurriedly left me alone in the tunnel without even the flashlight. Disgusted with him but otherwise unperturbed, I disengaged from the hand, saying I’d try to find help and fumbled my way back out of the tunnel. Outside, I found a search party looking for a young girl, but when I told the ranger in charge about the hand in the tunnel, he actually had the nerve to say it was impossible and that I was imagining things. The young girl was found, but elsewhere, and when I went back to the tunnel again on my own to see what I could do to help whoever was there, I found no one. We’d both decided to come back to the place of our ghostly experiences and explore some more in earnest, this time with an EMF meter and audio recorder in addition to our cameras. We didn’t really find anything. In fact, I couldn’t find the two places where I’d felt the presences back when I was a teenager. Carol Portos and her family showed us where they’d had their experience and we hiked in at night and settled in for a couple of hours within the dark bunker with only our flashlights for light. We found a very cute little bat that was very annoyed with us for the flashlights. I had my EMF meter handy and it did unexpectedly beep in a few areas, but it was neither prolonged or predictable about it. One of the women found a very warm spot several inches out from a corner and that spot moved from time to time though couldn’t be felt on the actual surface of the wall. We all felt it. This was one spot where my EMF meter beeped most often. Something about the bunker. It was underground and built of cement. It also had the beginnings of stalactites and stalagmites just like you would find in a natural limestone cave. There is a certain significance in this. Limestone caves, for centuries, have been used by shaman, seers, and other spirit questors as a place to receive visions. It’s also a warm place to go when it’s cold outside because, even barring wind chill factor, these caves average about 10 degrees F warmer than outside. Cement is largely composed of limestone. When water runs through limestone sufficient to create stalactites and stalagmites, it creates a low level radiation that may, in fact, generate a mind-set appropriate to visions. It’s said, too that this radiation is sufficient for ghosts to use for their manifestations. They take in this radiation and give off EMF. I’m no expert on this though. These are just bits and pieces I’ve gleaned from my reading. Anyway, it could explain the warmth we found in that one corner. It is also of note that residual hauntings tend to take place where there’s a lot of limestone. It acts almost as a recording device of past events and emotions. I must not be receptive any longer. I didn’t see or feel anything I’d confidently call a ghost. My son, my husband, and myself did have fun exploring all the ruins and taking a ton of pictures however. …the rest of which is a steep hike uphill. Ghosts or no ghosts, though, these forts are very cool places to explore. 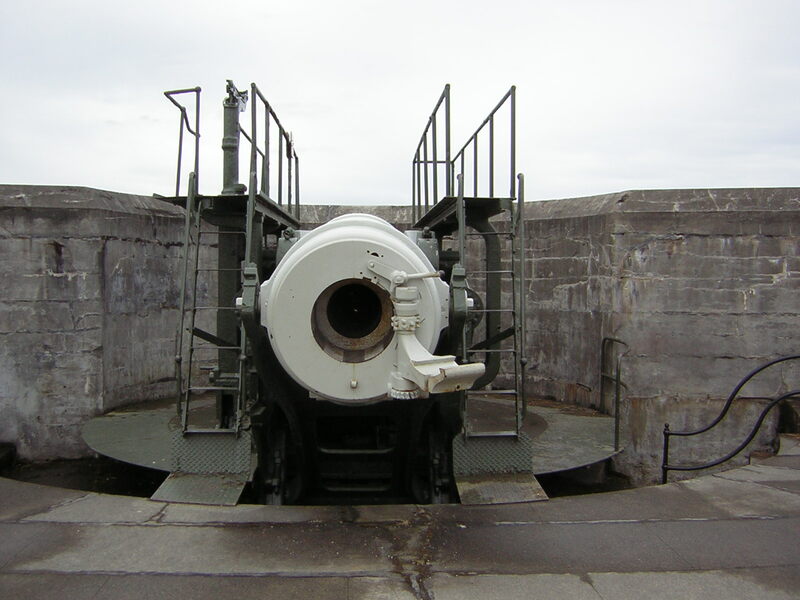 This entry was posted in Architecture, Family, History, Paranormal, Spiritual, Thoughts and Dreams, Uncategorized and tagged Fort Casey, Fort Flaggler, Fort Worden, ghosts, haunted, Paranormal, Triangle of Fire. Bookmark the permalink. I love forts!!! Fort Casey looks like it’s both beautiful and spooky! If I’m ever out that way, I’ll have to try and visit! It’s a wonderful place! I’m sure you’d really enjoy it. My choir tour stayed at Fort Casey in the old barracks for a couple days. The first night we were there, I had trouble getting to sleep. I opened my eyes to the darkness, and across the room a woman with no color to her eyes rushed me, all the while screaming like a banshee. I abruptly sat up in bed and screamed “HOLY S**T!” and woke up some of the group near me. I am not one prone to realistic nightmares, and definitely not ones that wake me up screaming explitives. Fort Casey definitely has something going on. Interesting! I wonder what history might be behind that. What happened after everyone woke up? Did anyone else see or hear her or was she already gone? I am a Christian and believe that all of these stories are either superstition or straight up lies. The woman screaming was just a nightmare. Fort Casey is a wonderful fort and I got lost in many pitch- black tunnels and felt/saw nothing. Fort Casey should be remembered as a great historic site and not a bunch of fake stories. I don’t lie. Nor do I believe in superstitious things. That’s one of the main reasons I left religion. I’m agnostic. How do you do Christian? I am Christian also but I have had experiences like that at Fort Casey. They include being scratched in the switch board tunnels, and being grabbed in the underground mazes. You can choose to believe this or not, I don’t see how Christianity is a part of this. It has nothing to do with religion. It simply is what it is. I don’t think we cease to exist when we die. From what I’ve read on the subject souls drift off to higher realms to be reborn again, or not, later on but some linger awhile close to this one due to emotional ties they haven’t yet broken free of. Who knows? But there is definitely a sense of unseen presence around there and that hand I felt in the impossible place felt absolutely living and real. I never understood first off, why people need to announce they are Christian before denouncing someone else’s beliefs. I have yet to run into someone who says, “I am Buddhist, and I think all stories of ghosts are….blah, blah, blah”. There are plenty of Christians out there who believe in ghosts and/or spirits. I know this because I am one of them, and I know many others. So, please don’t wave the phrase “I’m Christian” around like it’s the be-all and end-all for discussions on beliefs. There is a wide array of spiritual beliefs under the umbrella of Christianity. That there are. Belief of any kind is an individual experience for those who believe genuinely. I think the people who feel the need to announce that they’re Christian before denouncing someone else’s beliefs isn’t so much stating what they genuinely believe as announcing their club affiliation, so to say anyone who isn’t part of their club is an automatic reject so (tacit) get with the program. Just guessing though. When I was a Sunday school way back when a long time ago I can recall that happening a lot. They were always quick to point out what we were and weren’t supposed to think or believe. That felt dishonest to me. Life experience doesn’t always follow the script. The world is begger than that and our minds need to widen to accomodate the strange and unexpected. Jesus taught a way of harmonious behavior. But did he limit the horizons of thought experience? I don’t think so. He himself, if he did in fact exist, by his very examples of miricles of all sort demanded extended acceptance of all things strange and wonderful or even bizarre. Sorry. That was a bit long winded. I hope you understand me okay. All I really wanted to say is that I appreciate you’re being here. Thank you for that. Hi! So relieved to read about your experiences. I spent 2 nights in one of the barracks at Ft. Casey. The second night I woke up hearing footsteps in the hallway. My door opened, I quickly shut my eyes. Then I felt someone sitting on my bed. I cautiously opened my eyes, seeing a white misty figure. It felt like it was female, then I closed my eyes hoping she would go away, and she did. It was an interesting/ creepy experience. Glad I’m not alone in having experienced weird stuff there. I wonder who the woman was? It doesn’t sound as though she meant you any harm at least. 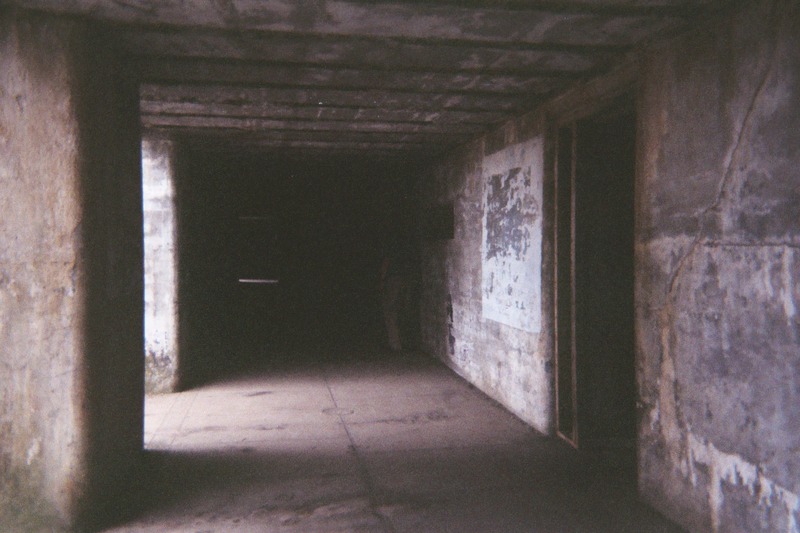 I have too felt a presence at Fort Casey, in the main bunker area when you go down into the tunnels there are two rooms directly across from each other and pitch black, in one of the rooms I walked in and pretty much ran out backwards, something forbidding and dark did not want me in there. Also an old I guess Switch room. Then there are the bunkers up the hill a little that also had a presence. I have been there many times and have had the same experiences. I actually live in oak harbor. I have pictures of ghost from fort casey. ACTUAL people. See through people. They are on my cell phone. I am very sensitive to spirits. Wow! I would love to see those! Please email me at ampbreia@live.com if you want. would u mind texting them to me? I am pentecostal apostolic, holy ghost roller!!!! I do not believe in ghosts but i believe in evil spirits. The bible says it all. The end is near Jesus is coming you better be ready. I am no fake. God is moving and we are at the thresh hold of the coming of the lord. There is an apostolic pentecostal on goldie road in oak harbor washington. It is near the navy station. Its a safe place to call home! Come and see what you are missing! I was raised in a holy roller/Pentacostal church. I didn’t appreciate the fact that they believed in so many negative things and wanted me to do the same. Also… that trance-like activity referred to as “holy rolling” and “speaking in tongues” is really only channelling, mostly without safeguards. There may not be such a thing as 100% bad spirits any more than people, but there are sure a lot of mischievious ones that take advantage of the situation. Objective knowledge of such could serve as protection therefrom but the Pentacostal church doesn’t like people to be knowledgeable of truly spiritual things. It doesn’t even like questions. It wants boxed thinking without question. My Sunday school teacher nicknamed me “Tongue of Satan” just because I asked reasonable questions about things in the Bible that seemed wrong or made no sense to me. When he denounced me as a witch for being naturally psychic at that age and started reciting that thing about “Thou shalt not suffer a witch to live!” I was finally disgusted enough to leave. When I visited a year later just to see the Easter Pageant, he came up acting all friendly and asking what I’d been up to so I told him about my college classes and what good grades I was getting. Then he said, “Ah-ha! It’s knowledge that’s corrupted you!” At that point, I just turned my back on him and his church and walked away. I really don’t need that crap. Good for you if you enjoy it. Seriously. Some people like that stuff and I’m fine with that, but don’t expect me to like it like you do. I prefer to expand my mind and leave dark superstitions in the dark where they belong. It makes good Halloween fodder is all. i was raised on Whidbey island and I used to roam about fort casey, partridge point, and all those areas. you know how teens are…anywhere they think adults aren’t going to go they will flock. I will admit that there is something in not only fort casey but in the woods of pt. partridge. I used to live in the area of directly across from Coupeville. when we were first stationed there my mom and dad rented a house there prior to buying a home in town. there were all sorts of things happening in the house all the time but we never talked aboiut it. until my brother came for a visit. one night at dinner, he asked who was banging up and down the hall at night and trying to get into the room? that was when we all started talking about what was happening. come to find out, the housing area was built adjacent to where there had been the local indian nation’s village before the area was settled. kind of explained the drumming we were hearing. the last day we were in there, only my mom was in the house, vacuuming to make sure it was clean for the next tenants. the next thing we know, mom comes running out of the house, white as a sheet and tells my dad that the new tenants can consider the vacuum a gift. later she told me that the had thought it was me behind her and when she turned she saw a white apparition, a woman, who was reaching out to touch her. Interesting stories! One of these days I aught to collect these all in a book. Thank you. I know that feeling! I don’t blame you. It is, nonetheless, an interesting place to explore. It’s definitely the same place where I took a picture of my boys and it really doesn’t need to be photoshopped to look scary. It just is! It’s also not any of my pictures. I suspect a lot of people take pictures in the same spot I did because its such a dramatic entry to the underground there and it is so much darker in there than a picture can convey. The camera flash lights it up some… and makes people’s eyes look red. As to the red faced person atop the block, he looks neither ghostly nor demonic to me. It’s possible to climb up there just because the blocks are so close together. It’s probably just an ambitious kid being spooky. The orbs, though, are all around. I am writing a book on the paranormal and was told about the Switchboard. When it was open to the public a lady I know felt a presence inside. Feeling uncomfortable, she turned around to speak to whomever was so close. She saw the ghost of a transparent soldier. The odd thing is that he was wearing a red coat like the British! I went to Fort Casey when a few times in my youth elementary and jr.high. I am 36 now and still can’t get the feeling I had out of my mind when I was there. I have discovered I have a stong gift of discernment but was unawhere of what I was sensing in my youth. 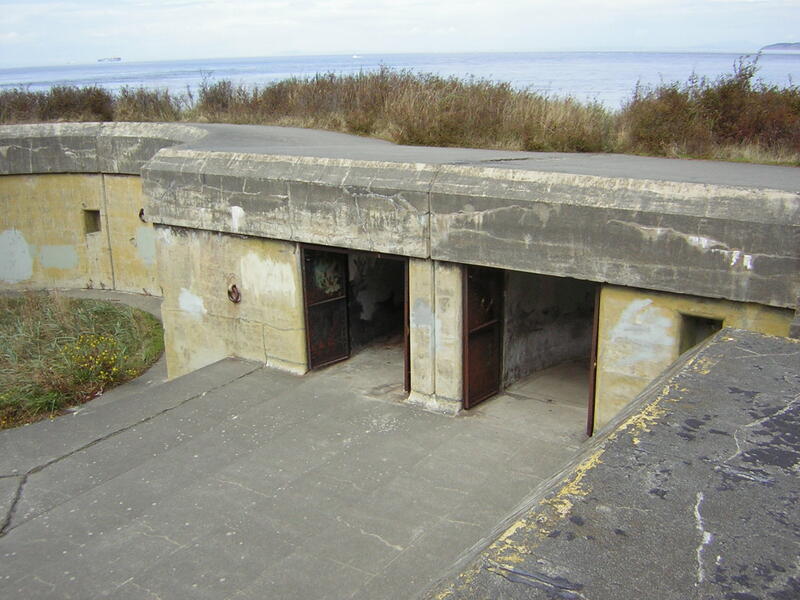 Fort casey 100% has some evil presence there within those chambers. I don’t think I could ever get myself to go back there. The last time aroung 15 maybe, I refused to go near the fort, I stayed in the field the whole day. There is no reason for this fort to be haunted. It’s never even seen action. Also that comment about the red coat was hilarious. No it hasn’t. But people die everywhere; war or no war. But if you haven’t experienced anything there yourself, there’s no reason for you to believe it’s haunted or not. But you can’t speak for anyone who has had the experience. The was a lot of creepy graffiti like “demon tunnel” and the bloody hand prints(they were actually blood they must have been stupid) but other than that it was cool there. Considering that Ted Bundy spoke of going there to make out with his girlfriends, I’m not surprised some of the tunnels have an demonic air to them. Their also a good place to scrap your hands when you’re being clumsy in the dark. Been there, done that. I hope that’s all it was. I went to fort Casey recently. I went there with my family for the afternoon. I felt a presence of something almost as if it was luring me or calling me to come closer, I went closer tightly holding my flashlight in hand. I felt a hand grab on to mine and pull me. When I shined my flashlight towards my hand nothing was there I shined it at the ground and was surprised with what I saw. When I looked down at the ground I saw that leading to where I was standing from the spot I was in before was stains on the ground, blood stains clawing their way down the hall, and a small silver ring. My experience was strange at fort Casey but I would consider going again after this bafflingly experience. Which part of the fort was this in? Did you follow the stains to see where they went? Was it possible they were rust stains from the steel supports bleeding through the concrete? That sort of looks like blood sometimes. There’s even stalactites and stalagmites of rust-stained limestone (the stuff the concrete is made of) in many of the tunnels. I couldn’t find the jail cell area last time I went back (2006/2008?). Totally baffled me. I couldn’t find the least vestige of it, though I’d seen it before in 1980 or thereabouts. Is it still there and I just missed it? Also took some other spooky pictures which are posted on my Instagram under the handle eves_marie. Have you ever found the small hut in the woods? It’s off a main trail leading from the lighthouse to the barracks where they host camps? It seems to be an old bathroom as it still has one of those toilet tanks from the early twentieth century mounted high on the wall. We found it by accident and it really scared us. Even my highly skeptical friend said he felt weird there and one of the pictures, which I shared to Instagram, has what looks like a blue mist around the roof of the structure. Based on the lighting of the time of day I don’t see how that could have been a flare or glare. I was pretty terrified all day, but that was the worst. Anyways, thanks for sharing this post. 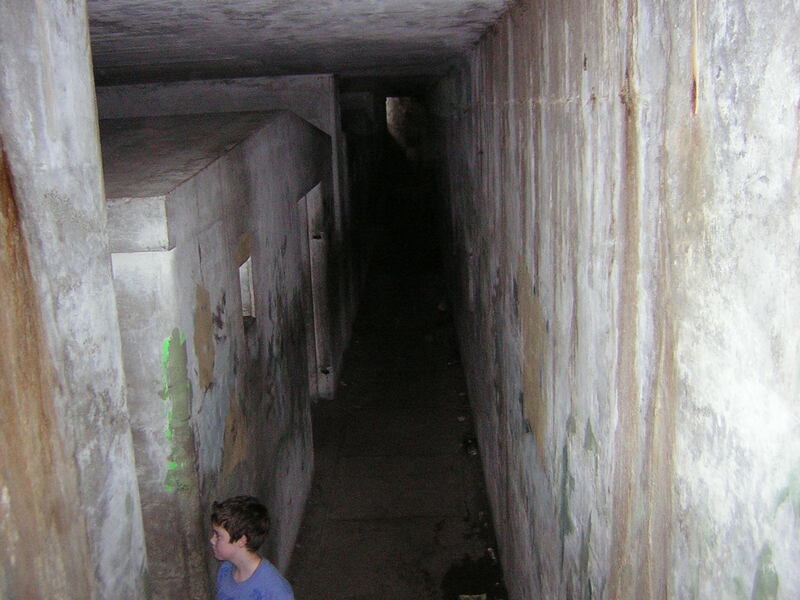 I’d been frightened at fort Casey by a bizarre experience had in the jail cells you mentioned, but attributed it to overactive teenage imagination, and your post actually convinced me to go back. I’m not sure if the hut you saw one of the structures I’ve seen. There was one in the woods down slope from a battery near where the Port Townsend ferries dock. It was comoflaged by what looked like deliberate earthworks which were also covered with moss and leaves as well. We only saw it at all when, after hiking past it, we turned around to head back up to the battery. The door was hanging open so we took a look inside. I remember there was something like a dumb waiter in one wall, the shaft going down to some other chamber which I didn’t see any other access to. Weird spooky place. I’d like to go back some time too. Maybe we could meet there some time? I was there with friends a couple of years ago and took some random pictures in one of the odd shaped corner rooms that had stairs that went to the top of the fort and got a picture of something on the stairs. I’d like to see it. Can you post a picture of it here?